Net profit at casino operator Wynn Macau Ltd rose by 56.2 percent year-on-year in the second quarter of 2018, to nearly US$160.3 million. 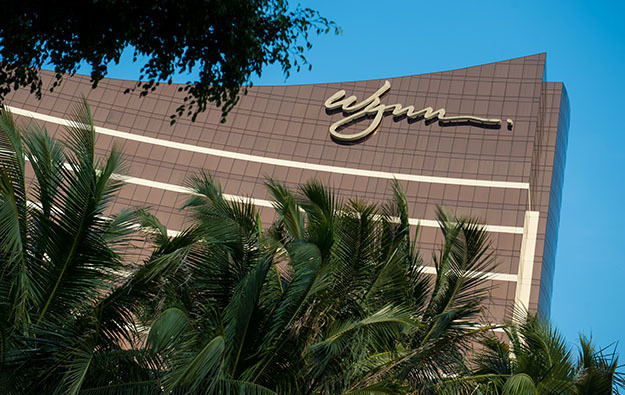 The announcement – in accordance with International Financial Reporting Standards (IFRS) – was made by the Hong Kong-listed firm, following the second-quarter results disclosure on Wednesday by the parent Wynn Resorts Ltd.
Wynn Macau Ltd reported operating revenues of slightly above US$1.16 billion for the three months ended June 30, up by 12.5 percent from the prior-year period. Casino revenue for the period increased by 10.8 percent year-on-year to approximately US$998.3 million, compared with a market wide growth of 17.2 percent for the same period. Wynn Macau Ltd’s results were negatively impacted by a lacklustre performance from VIP gaming operations at casino hotel Wynn Macau (pictured) on the peninsula. “[Wynn Macau Ltd’s] VIP rolling chip volume dropped back to third quarter 2017 level and low hold on peninsula resulted in VIP gross gaming revenue share loss,” said brokerage Sanford C. Bernstein Ltd in a note on Thursday. Casino revenues at the property were US$473.3 million for the second quarter of 2018, an 18.1 percent decrease from US$578.1 million for the same period of 2017. Table games turnover in VIP operations stood at US$13.93 billion, a 13.1 percent decrease in year-on-year terms. VIP table games win as a percentage of turnover was 2.56 percent, below the expected range of 2.7 percent to 3.0 percent and the 3.53 percent experienced by the property in the second quarter of 2017. During a conference call following Wynn Resorts’ results announcement, Matt Maddox – chief executive of the parent firm and of Wynn Macau Ltd – attributed the decline in performance in the VIP segment at Wynn Macau property to “short-term competition” as other casino operators had been recently investing more heavily in the segment, with new rooms and more available credit. “We expect this new supply will be absorbed as it was in the past,” he added. The April to June period was the group’s first full quarter following the exit of founder and former chairman and chief executive Steve Wynn, after allegations of sexual misconduct against him. Mr Wynn has denied those claims, but resigned from the group in February and has since sold his entire stake in the firm. During the conference call with analysts, Mr Maddox also provided details about a planned US$100-million investment to revamp the Wynn Macau property, announced in April. The firm was also working on the development proposal for the expansion of its Cotai’s Wynn Palace casino resort, which it planned to have ready by year-end. “We’re in full swing planning our entertainment-focused development on the adjacent 7-acre [2.8-hectare] parcel that sits between the new [Grand Lisboa Palace] and Wynn Palace,” Mr Maddox said. The executive stated the firm planned “on completing the proposal in the fourth quarter” to show it to the Macau government. The firm’s management did not provide information regarding the expected investment for the expansion of Wynn Palace. In the meantime, the “largest junket operator” at Wynn Palace – which was not identified during the conference call – would soon increase its footprint in the property, Mr Maddox said. “They’re going to increase the tables by 40 percent in a really attractive gaming area with its own individual access from the street,” Wynn Macau Ltd’s president Ian Coughlan added. The Sanford Bernstein team said it expected the changes at both Macau properties to “help drive improvement”. Mr Maddox noted that the Wynn group was “encouraged” by the passage on July 20 of the long-awaited Integrated Resort (IR) Implementation Bill, a second of two pieces of legislation that will lead to the establishment of a domestic casino in Japan. Wynn Resorts has previously declared itself a contender for a casino licence in Japan. A number of industry executives expect the first casino licences to be issued in around the year 2020, with the first resorts to open for operation in circa 2025. At Wynn Palace, operating revenues – on a U.S. generally accepted accounting principles – were US$620.6 million for the second quarter of 2018, up 56.6 percent from the same period of 2017. Adjusted property earnings before interest, taxation, depreciation and amortisation (EBITDA) stood at US$179.3 million for the three months ended June 30, a 105.1-percent increase from US$87.4 million for the same period of 2017. Casino revenue from Wynn Palace was US$525.0 million for the second quarter of 2018, up by 62.4 percent from the same period of 2017. Table games turnover in VIP operations was US$14.03 billion, a 20.9-percent jump from US$11.60 billion in the prior-year period. Table drop in mass market operations was US$1.22 billion, a 67.2-percent increase from the second quarter of 2017. Non-casino revenues from Wynn Palace stood at US$95.6 million for the second quarter of 2018, a 30.6-percent year-on-year increase. “I believe that Wynn Palace will continue to take market share in both mass and VIP,” Mr Maddox said during the conference call, commenting on the property’s overall performance. Operating revenues from Wynn Macau on the peninsula were US$543.3 million for the second quarter of 2018, a 14.9-percent decline from US$638.5 million for the same period of 2017. Adjusted property EBITDA from Wynn Macau was US$172.9 million for the second quarter of 2018, down 17.8 percent from a year earlier. Table drop in mass market operations at Wynn Macau was US$1.29 billion, a 21.1-percent increase compared to the prior-year period. Slot machine handle was US$963.6 million, an 11.0 percent year-on-year increase. Group-wide, Wynn Resorts reported net income of US$155.8 million for the second quarter of 2018, compared to net income of US$74.9 million in the prior-year period, benefiting from Wynn Palace’s performance.